If you don’t drink water, you will die. It’s that important. There is a simple rule of three that you can follow: An average human being can live for roughly three months exposed completely to the elements, three weeks without food, three days without water and three minutes without oxygen. For most of us, we should prioritize the consumption of water far more than we currently do. I’m extremely bad in regards to this, anyone who knows me will know that I drink very little water, sometimes going 24 – 36 hours without having any. Your body is composed of roughly 60-70% water (depending on which research you read), with muscle tissue composed of between 75-85% (again, depending on source). That means when we are dehydrated – and most of us spend our days constantly dehydrated to some degree – we are affecting the performance of the majority of our body. Nearly all of our systems do not function as well without the proper water intake. Dehydration can lead to weakness, fatigue, dizziness, and electrolyte imbalance amongst other things. What is even more alarming is that even among the most experienced athletes—and this includes powerlifters, weightlifters, strongmen, and bodybuilders—there is a huge gap in knowledge regarding the understanding as to why proper hydration is important for health, and for competitive success. Water is the single most critical nutrient – The human brain is composed of 95% water; blood is 82% water; the lungs are nearly 90% water. Water is also the single most critical nutrient for health, growth, and development. It is not only the most important nutrient in the body, but also the most abundant. Water is critical to the balance of all the body’s systems, including the brain, heart, lungs, kidneys and muscles. How important is this balance? A 2% drop in body water can cause a small but critical shrinkage of the brain, which can impair neuromuscular coordination, decreased concentration, and slow thinking. Dehydration can also reduce endurance, decrease strength, cause cramping, and slow muscular response – all of which are vital to good sporting performance. Mild dehydration is also one of the most common causes of daytime fatigue. One study estimates that 75% of the population have mild, chronic dehydration. This is alarming since proper hydration is required for maintaining healthy blood flow, proper kidney function, proper sodium/potassium /electrolyte balance and proper digestive functions. I’ve mainly approached this article from the perspective of powerlifters and other strength athletes / sports, but the effects of water go far beyond that. Here’s a small list of the effects water will have on the human body during normal, everyday life. Our digestive system needs water to function properly. Waste is flushed out in the form of urine and sweat. If we don’t drink water, we don’t flush out waste and it collects in our body causing a myriad of problems. Also combined with fibre, water can cure constipation – drinking enough water adds fluids to the colon which helps make things, er, move smoothly. Sometimes headaches can be caused by dehydration, so drinking water can prevent or alleviate that nasty head pain. Next time your head hurts, try drinking water. Our skin is the largest organ in our body. Regular and plentiful water consumption can improve the colour and texture of your skin by keeping it building new cells properly. Drinking water also helps the skin do its job of regulating the body’s temperature through sweating. Water is essential for the proper circulation of nutrients in the body. Water serves at the body’s transportation system and when we are dehydrated things just can’t get around as well. Forget diet tricks—drinking water could also help with weight loss. Numerous studies have found a connection between water consumption and losing a few pounds. The reason? Water simply helps people feel full, and as a result consume fewer calories. Move over coffee—water can help fight those tired eyes too. One of the most common symptoms of dehydration is tiredness. Just another reason to go for another glass. Water may help with decongestion, helping the body bounce back when feeling under the weather. Just beware—drinking fluids hasn’t been scientifically proven to beat colds, so don’t swap this for a trip to the doctor. A study in London found a link between students bringing water into an exam room and better grades, suggesting H2O promotes clearer thinking. While it’s unclear if drinking the water had anything to do with a better score, it’s worth a try. Water is a molecular compound, with molecular formula H20. The atoms in a water molecule are held together by strong covalent bonds. These are very difficult to break. In the diagram for a water molecule there are two bonding pairs of electrons and two non-bonding pairs of electrons. The four pairs repel one another, forming a tetrahedral pattern. In this way they are as far from one another as possible. The molecule itself (the spatial distribution of atoms) is described as ‘bent’, ‘angular’ or ‘non-linear’. The two electrons in each oxygen-hydrogen bond are not shared equally. They are more strongly attached to the oxygen atom. The bond is polar, it has a large ‘negative end’ (the oxygen atom) and a ‘positive end’ (the hydrogen atom). A hydrogen bond forms between a non-bonding pair or electrons on the oxygen atom of one water molecule and the hydrogen atom (‘positive end’) of another water molecule. The hydrogen bond is about 10 times weaker than a single covalent bond. With this knowledge we can begin to understand how water fulfils its various roles in biological systems. Similarly, anions (ions with a negative charge) become surrounded by clusters of water molecules. This time it is the positive ends of the water molecule, the hydrogen atoms, that are attracted to the anion. Chemical reactions take place in cells. Collectively these reactions together are called metabolism, i.e. all the chemical and physical processes within a cell. The chemicals involved are called metabolites. Water is a metabolite in many reactions, either as a reactant or as a product of reaction. For example, it’s involved in photosynthesis, digestion and aerobic respiration. What Does Water Do Within a Cell? 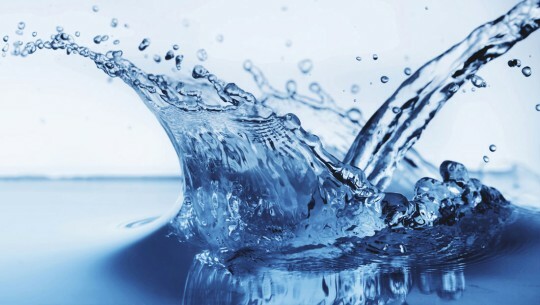 Water is the single most abundant chemical found in living things. Virtually all chemical reactions in life processes take place in solution in water. Some organisms can live in a dormant and desiccated state for long periods of time but require water to become active. Water is present both inside and outside cells. In the body of a mammal for example although it is about 70% water by weight, about 46% (approximately 2/3) is inside cells, and about 23% (approx. 1/3) is present outside cells in blood plasma and other body fluids. Adding water: Water molecules, assisted by enzymes, can be ‘pushed’ into certain molecules to split them into smaller sub-units. This process is called hydrolysis (from the Greek: hydro meaning water and lysis or lusis meaning loosening or splitting). During it, parts of a water molecule are added to the two separated parts. Carbohydrates, fats and proteins can be split in this way. Large carbohydrates such as starch can be split to form smaller carbohydrates such as glucose. Fats or lipids can be split into glycerol and other molecules including chemicals called fatty acids. Proteins can be split into the buildings blocks from which they were constructed, namely amino acids. Removing water: In a reverse way, enzymes can assist with the removal of water molecules enabling some small molecules to join together to form large ones. This process is called condensation and can be looked upon as condensing two or more molecules together to make one molecule. By removing water at a molecular level – simple sugars like glucose can be joined together to form complex carbohydrates such as starch, glycerol and certain other molecules can form fats or lipids and amino acids can be joined together to make protein. The kidneys play a key role in keeping the body healthy. Water helps dissolve minerals and nutrients, making them more accessible to the body. It also helps remove waste products. 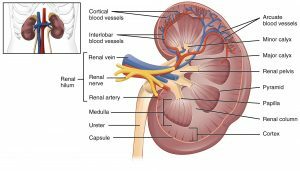 These two functions make water vital to the kidneys. Every day, the kidneys filter around 136,382 – 170,478ml / 136.4 – 170.5 litres of fluid. Of these, approximately 1.1 – 2.2 litres are removed from the body in the form of urine, and the rest is recovered by the bloodstream. Water is essential for the kidneys to function. If the kidneys do not function properly, waste products and excess fluid can build up inside the body. Untreated, chronic kidney disease can lead to kidney failure. The organs stop working, and either dialysis or kidney transplantation is required. Urinary tract infections (UTIs) are the second most common type of infection in the body. Every year 4 million women in the UK will get a UTI, and they account for 8.1 million visits to health care providers in the USA, and affect more than 150 million people worldwide every year. If infections spread to the upper urinary tract, including the kidneys, permanent damage can result. Sudden, or acute, kidney infections can be life-threatening, particularly if septicaemia occurs. Drinking plenty of water is a simple way to reduce the risk of developing a UTI and to help treat an existing UTI. Dehydration happens if we use and lose more water than the body takes in. It can lead to an imbalance in the body’s electrolytes. Electrolytes, such as potassium, phosphate, and sodium help carry electrical signals between cells. The kidneys keep the levels of electrolytes in the body stable when they function properly. In severe cases, dehydration can lead to kidney failure, which can be life-threatening. 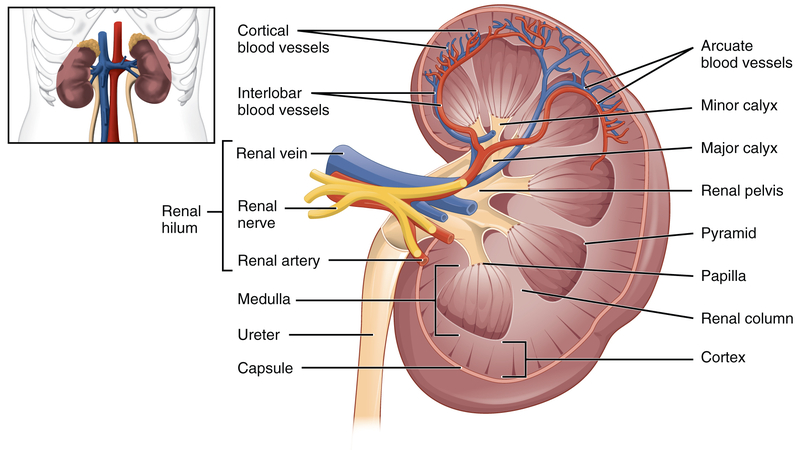 Possible complications of chronic kidney failure include anaemia, damage to the central nervous system, heart failure, and a compromised immune system. Blood is approximately 90 percent water. A lack of water can cause blood to become thicker, increasing blood pressure. Dehydration can affect brain structure and function. Prolonged dehydration can lead to problems with thinking and reasoning. A study carried out by the Centres for Disease Control and Prevention (CDC) in 2013 analysed data from the National Cancer Institute’s 2007 Food Attitudes and Behaviours Survey. The above study only measured the intake of drinking water. While fluid can be gained from other beverages, water is the ideal source of fluid because it is calorie-free, caffeine-free, and alcohol-free. Seven percent of respondents reported drinking no water at all daily, and those who drank a low volume of water also consumed less fruit and vegetables. This suggests that a certain number of people are risking their health by not getting enough fluid. Even if the respondents reporting low levels of water intake were obtaining enough fluid, it is likely that they would be obtaining it from sources that could potentially compromise their health in other ways. “The biologic requirement for water may be met with plain water or via foods and other beverages,” write the study authors. “Results from previous epidemiologic studies indicate that water intake may be inversely related to volume of calorically sweetened beverages and other fluid intake.” Meaning that the more ‘unhealthy’ drinks such as fizzy or sugary drinks someone consumes, the less water they will drink, and vice-versa. In our mission to build quality muscle, we often consume enough protein, fats, carbs and vegetables. We get enough sleep and take the right supplements. However, at some time or another, we are all probably guilty of forgetting perhaps the most important nutrient of all, water. Maintaining hydration is not only important for our health, but for our muscles as well. Muscle strength is important for boosting muscle growth, since muscles adapt to an increase in loads by triggering growth. A study published in the ‘Journal of Strength and Conditioning Research’, reports that a 1.5 % decrease in water loss resulted in a decrease of muscle strength of the one rep max bench press. Therefore, given that such a small amount of water loss can compromise strength, staying hydrated can help you keep your strength and gain muscle over the long haul. It must be understood however, that the influence of hypohydration (reduced total body water) on muscular strength and power is poorly understood due to the inconsistent results produced by previous investigations. Several subtle methodological choices that exacerbate or reduce the apparent effects of hypohydration explain much of this variability. After accounting for these factors, hypohydration appears to consistently reduce the effect of strength (by approximately 2%), and power (by approximately 3%) – suggesting alterations in total body water affect some aspect of force generation. Unfortunately, the relationships between performance decrement and crucial variables such as mode, degree and rate of water loss remain unclear due to a lack of suitably uninfluenced data. On the other hand, hypohydration might directly affect some component of the neuromuscular system, but this possibility awaits thorough evaluation. Researchers found that the amount of water within cells plays a critical part in whether or not muscle breakdown occurs. Preventing muscle breakdown is crucial since muscle breakdown stops muscle growth within muscle cells, protein synthesis. Water is needed to transport nutrients to your cells and transport waste out of the body. Water helps form the structures of protein and glycogen. ‘Biochemistry Journal,’ reports that decreased body water leads to cells shrinking and protein breakdown. Thus, by maintaining adequate fluid levels, we can cause cells to swell, thereby reducing the amount of protein breakdown and increasing the building of new muscle tissue. Since muscles are controlled by nerves, without the proper water and electrolyte balance, muscle strength and control will also be impaired. In trying to gain muscle, supplying your body with raw materials such as protein and carbs isn’t enough. Unless those nutrients are efficiently absorbed in the body, you can kiss muscle gains goodbye. Proper digestion is crucial, and water taken during or after meals improves digestion and helps maintain a healthy digestive track. This is important in view of the fact that dehydration can prevent proper digestion from occurring, resulting in nutrients not being absorbed and muscle not being built. A small decrease in water loss can negatively affect exercise performance as well as recovery. Proper training and recovery are essentials in the journey toward muscle growth. Dehydration can throw you off course, so drinking adequate fluids before, during and after exercise can prevent the side effects of dehydration. Over the years, controversy has arisen over the proper amount of water consumption for healthy people. The old standard of eight glasses a day has fallen by the wayside, primarily because of the premise that athletes need more water. A recent sports nutrition article states that athletes should consume between 0.5 – 1 ounces (14.2 – 28.4ml) per pound bodyweight, per day. As a guide, for me (274lbs) this would be between 3,892ml (3.9 litres) and 7,785ml (7.8 litres). By the time you are thirsty, your body is already dehydrated. Once dehydrated endurance is diminished, strength can drop, and the effect can last into the following day(s). Instead of relying on a signal, drink water at regular intervals regardless if you’re thirsty or not. Caffeine/alcohol consumption – diuretics (although new research shows that the diuretic property of caffeine is minimal). Increased physical activity (water loss from sweating). Other Reasons to Increase Water Intake: Large food intake (common to bodybuilders / powerlifters / strength athletes) & Increasing intake of vitamins, minerals. Increased sodium consumption; water intake may help the body excrete sodium and excess water. 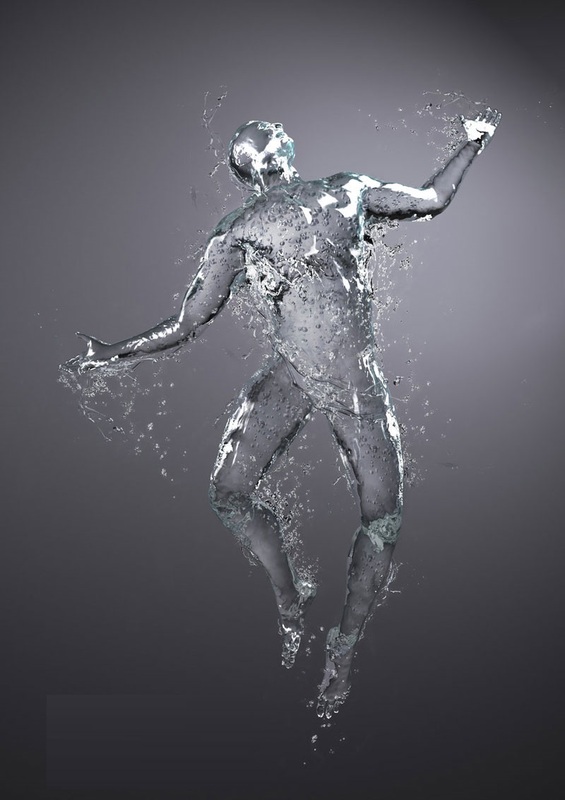 How much water is lost during normal body functioning? 454ml through invisible perspiration (more if sweat is visible). You need to drink water immediately following exercise. If you don’t replenish after exercise, your performance on the following days will suffer. Because you will be eating hard to gain muscle and be taking supplements as well I would recommend drinking towards the higher value mentioned earlier. You need to drink water for health at regular intervals regardless if you’re thirsty or not. By the time you are thirsty, you will already be dehydrated. It is essential that you stay hydrated if you want to build muscle and experience optimal performance in the gym. Drink at least 500ml of water after sleeping 8 hours. Sleep—especially in a dry and hot room—can rob your body of needed water. You can easily wake up in a dehydrated state after a long sleep under these conditions. Drink water cold when possible. Cold water absorbs into the system more quickly than warm water. Some limited evidence also suggests that drinking cold water can actually help burn calories – if that’s what you’re looking for. Drink at least 3 litres per day, up to 8 litres a day as needed. As a minimum, if you are an athlete or a bodybuilder, your needs will be much higher than the average adult. Increase your intake according to the factors that require increased water intake as noted above. Do not forget the impact that supplements and medicine may have on hydration. Some supplements (and medicines) require that you take more water for them to be effective (and because some may be diuretics or cause harm if enough water is not consumed). Creatine is a good example. So, in short – err on the side of over exaggeration and drink more water!